Phonics at Kingsley St John's is planned and taught using phonics bug, Letters and sounds and Jolly phonics. 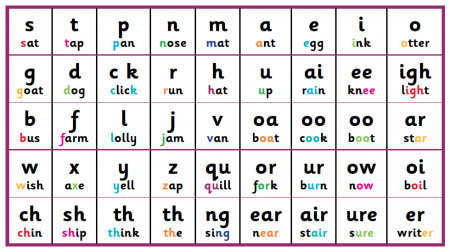 Phonics is taught descretely through pupils being closely monitored and children grouped by phonics phase. Phonics is taught daily. Once children are secure to phase 6, children are taught spelling, punctuation and grammar in a year 3/4 focus group or a year 5/6 focus group. Some people worry that phonics is taught to children when they are too young. However, those people might be surprised if they stepped into a phonics lesson. Phonics sessions are entirely made up from games, songs and actions and these sessions only last for 15-20 minutes per day. In my experience, (when phonics is taught well) children generally enjoy phonics so much that they beg their teachers to play phonics games with them at other times of the day.